By now, it is pretty obvious that Android-based devices dominate the mobile space (in terms of numbers) closely followed by iOS. These two mobile platforms have their own unique characteristics, but increasingly, many users find themselves owning both an Android and an iOS device. If that happens, it is inevitable that at one point, you will need to transfer files from one system to another. Being two totally different platforms, the way they handle files is totally different too and most people find themselves puzzled when they need to transfer files from one device to another. In this post, I’ll discuss a couple of ways you can transfer files between Android and iOS. Specifically, we’ll be looking at ways to move files from iOS to Android although the process can work in reverse for all methods (Android to iOS). This example should apply to all iOS versions later than iOS 4.x as well as Android versions later than Gingerbread. Both Android and iOS support image files including PNG, JPEG, GIF, and BMF, and we’ll set moving images as the example for this tutorial. The aim here is basically to transfer the files in an email attachment using one device and use the second device to access the same email and download the attachment. First, you need to get your pictures (or whichever files you want to transfer) into one folder and compress it to a smaller zip file. Connect your Android device to your computer and transfer the zip file to the computer. Send the zip file to your own email account. Access your email via your Android device and download the zip attachment. Unzip the file using your phone’s zip manager (or a related app in case of Android) and that’s it; you’ll have all your photos. You can also use a cloud-based service like Dropbox to transfer files between Android and iOS. The goal here is to upload the files to the cloud-based service where you can access them with either device. Start by creating a Dropbox account. Upload your files to your Dropbox account. If you are transferring to your Android device, for instance, use it to access your Dropbox account and download the files to the device. Keep in mind that Dropbox limits you to only 2GB of free storage space. There are plenty of other cloud-based services you can use instead of Dropbox, such as Google Drive, SkyDrive, and iCloud (with only Apple’s i-devices and services). If you need more space, you simply upgrade to premium subscription. If you’re out of ideas on how to transfer files from your iOS device to your Android tablet or phone, you can sync the files with iTunes and then copy them to the computer. Then after, you can copy the files from the computer to the second device. Connect your iOS device to the computer and launch iTunes (ideally should be the latest version). Sync your device with iTunes so that you can see the files in iTunes. Copy the files (pictures) to your computer or simply drag and drop from iTunes to your computer’s storage. Note: If you transferred the pictures using professional transfer software, iTunes cannot sync them and you risk losing them if you try to sync with the program. Needless to say, have a safe backup of your files before you attempt to transfer them using any method. 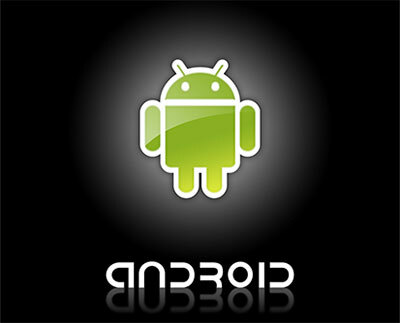 The last method is to use a transfer app to copy files from Android to iOS or vice versa. There are quite a number of transfer apps you can download: some work for only iOS devices while others work for both Android and iOS. Some transfer apps can also be used as backup software for your mobile device. I am student blogger, tech savvy and like most women love shopping! I have got a bit of geek in me and this is where I explore it. I love online computer games and hate anything slow.